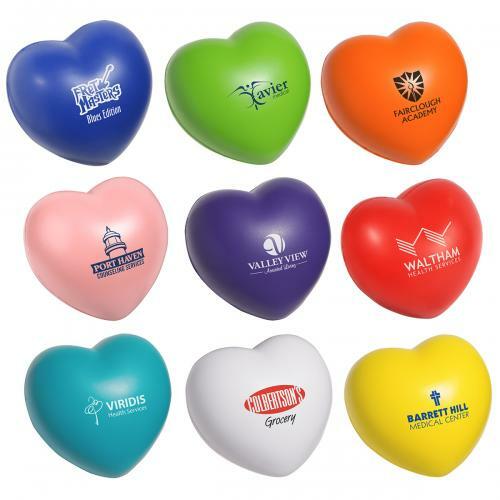 The Valentine heart stress reliever is the perfect stress ball for any company with heart. Deliver your unforgettable message on a custom imprinted stress ball and let your customers know that you're ready to take it to the next level. You can hand out these fun promotional valentine heart stress balls at trade shows and all special events. Great for industries like personal services, athletics/sports, health care and healthy lifestyle services, these custom stress balls will have your brand sweeter than the day before. Item Size : 2-3/4" x 2-3/4" x 2"